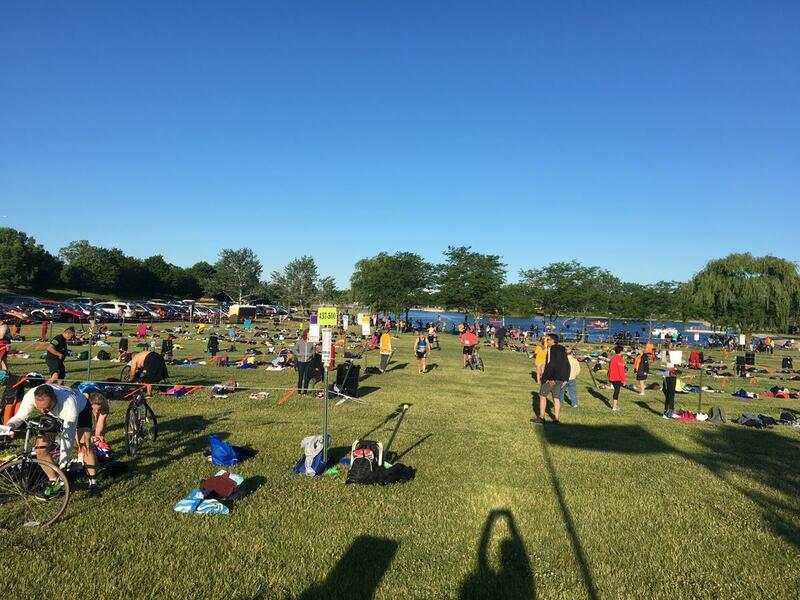 This year marks the 30th annual Twin Lakes Triathlon. 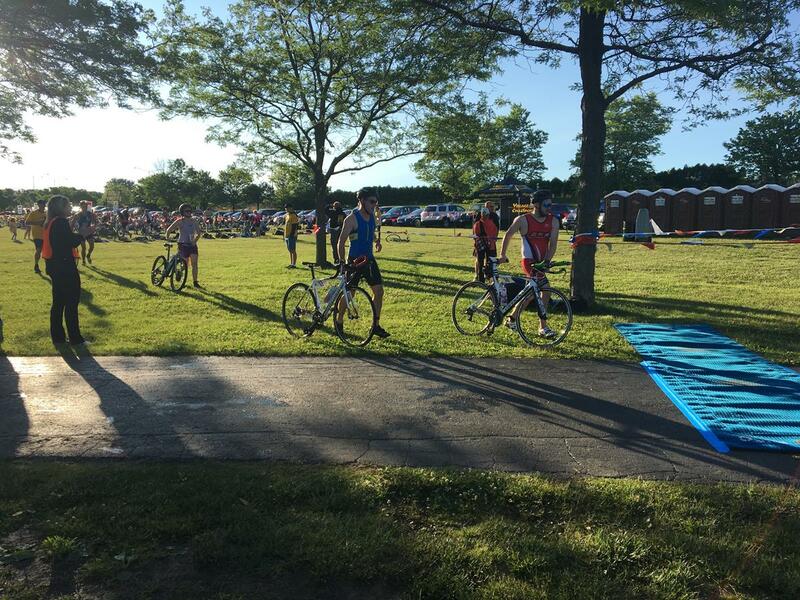 The Twin Lakes Triathlon is held at the beautiful scenic Twin Lakes Recreation Area. 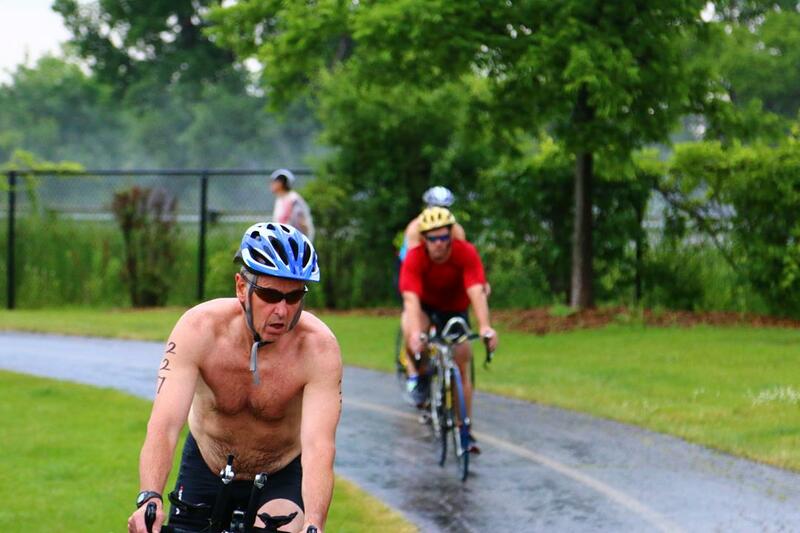 This Triathlon Sprint is a 700 meter swim, 14 mile bike & 4.5 mile run and is perfect for all ages and ability levels. 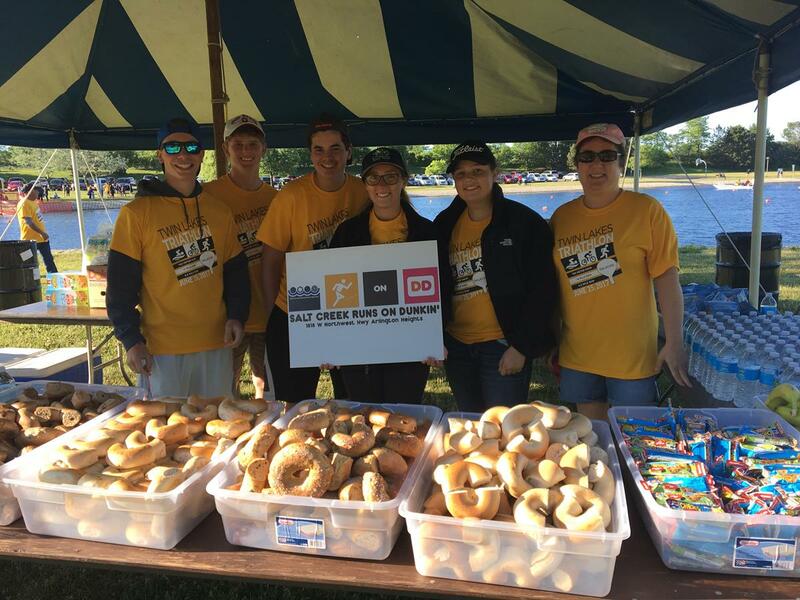 This local race has been a staple for years and we look forward to another great year full of eager participants and generous sponsors. 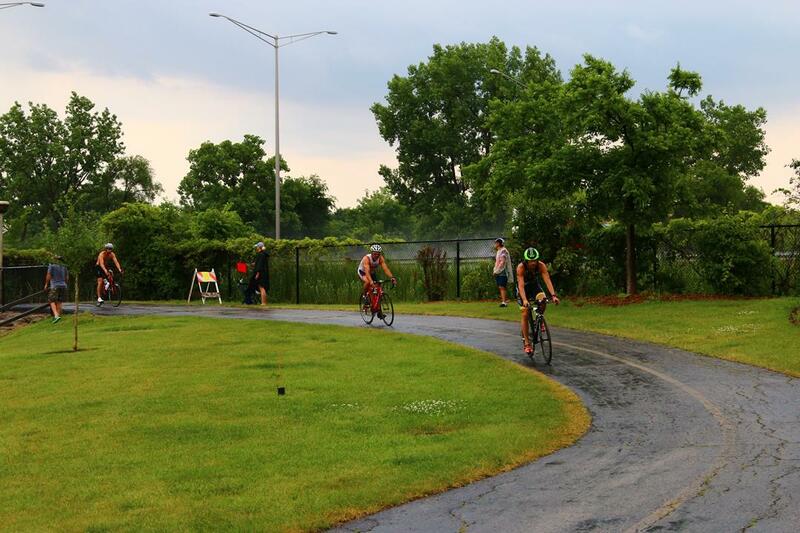 This year we are offering a 2-3 person team relay option. WHEN: June 17-June 21. Packets will include a t-shirt (not guarenteed). Please visit www.runnershigh-n-tri.com for store hours. Park bike in color coded bike corrals - DO NOT BRING IN REGISTRATION TENT! Parking: On site parking is limited, but surrounding lots will be utilized. Car-pooling is strongly recommended. Please pay attention as there will be areas with NO PARKING SIGNS. Numbers/Waves: Your wave & number will be chosen by the swim time you indicate on your registration form. 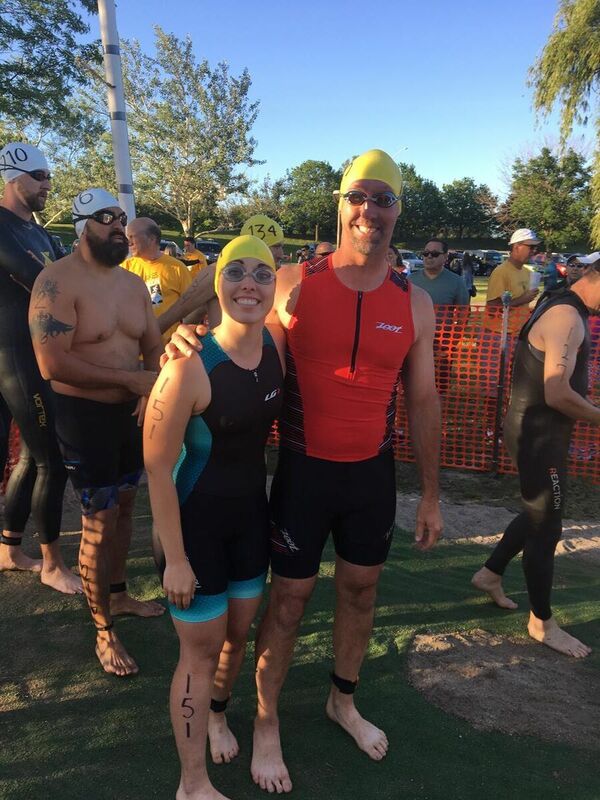 The fastest swimmers will start the race. Different swim times may be combined to fill up the waves. Refunds: No refunds will be given for inclement weather, flooding or injuries. Events: If the following time limits are not met you will be DISQUALIFIED. 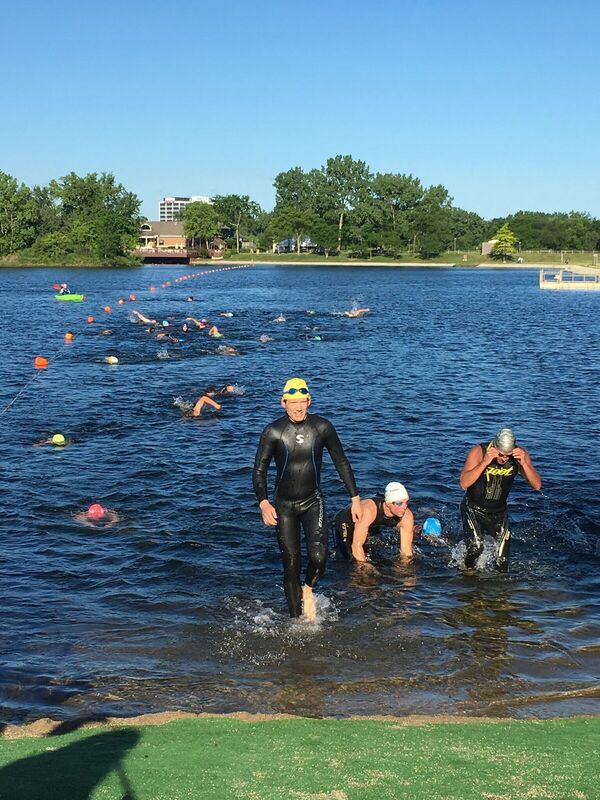 Swim: All participants must wear the swim cap provided by the Salt Creek Rural Park District. 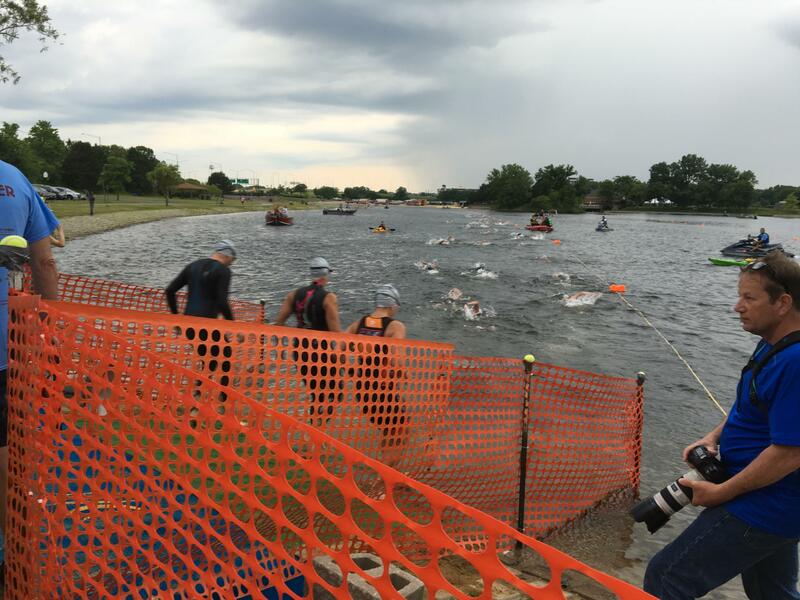 If you are pulled from the water, you will be DISQUALIFIED but may continue the race on your own after signing the disqualified waiver form. Bike/Helmet: Only 1 bicycle per participant is allowed in the bike area. Participants will be disqualified if not wearing a helmet. The bike tag we provide must be affixed to your bike frame. 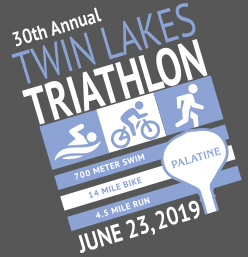 Awards: Awards will be presented at approximately 9:30am and given to the Overall Top Male & Overall Top Female, & given to the top 3 finishers, male and female in each of the following age categories: 15-19, 20-24, 25-29, 30-34, 35-39, 40-44, 45-49, 50-54, 55-59, 60-64, 65-69, 70 and over. 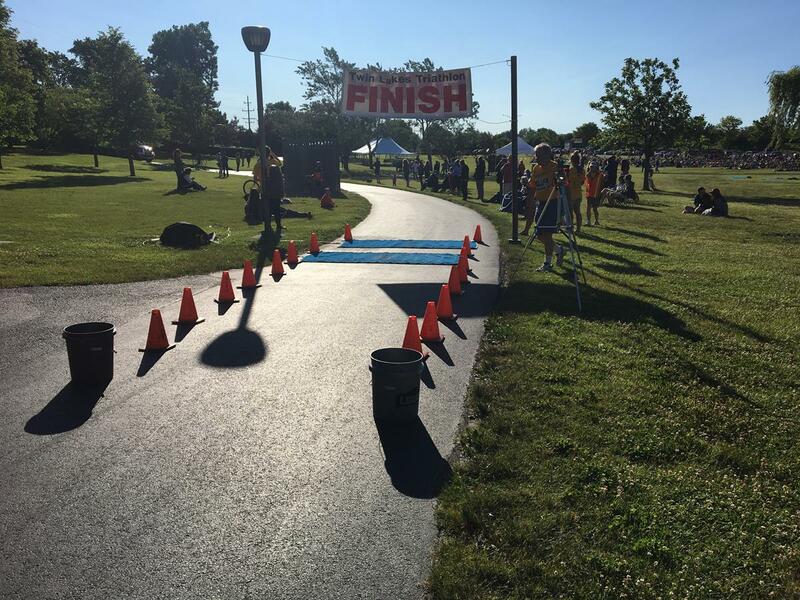 Results: Results will be available after the last finisher. Split times and results will be posted at www.saltcreekpd.com by Monday.